Heyes Goldfinch began his career in commercial real estate in 2016 and joined Tradd Commercial in 2017. Goldfinch specializes in timber and development tracts in the Myrtle Beach MSA. He brings a wealth of knowledge regarding the timber and development market to the Tradd team. Goldfinch is a graduate of Coastal Carolina University with a degree in Communications and a minor in Business. He is a member of First United Methodist Church of Conway and is actively involved in his community, serving in leadership capacities with the Conway Chamber of Commerce. 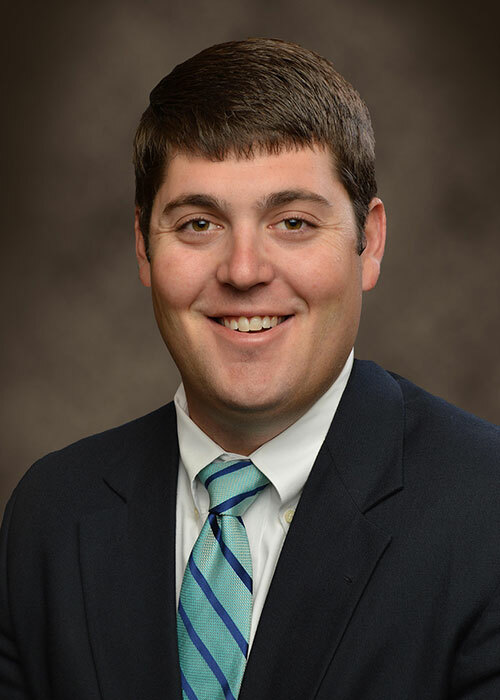 He is a licensed South Carolina REALTOR®, and is a member of the Coastal Carolina Association of Realtors, where he is a member of the Commercial Investment Division. Prior to real estate, Goldfinch was the 5th generation to work in his family’s business, Goldfinch Funeral Services. Through his tenure, he learned the importance of work ethic, communication, customer service, and integrity.